President Trump waved as he boarded Air Force One for a trip to White Sulphur Springs, W.Va., for an event on tax policy on Thursday. The Great Trumpkin scowled at the mirror. 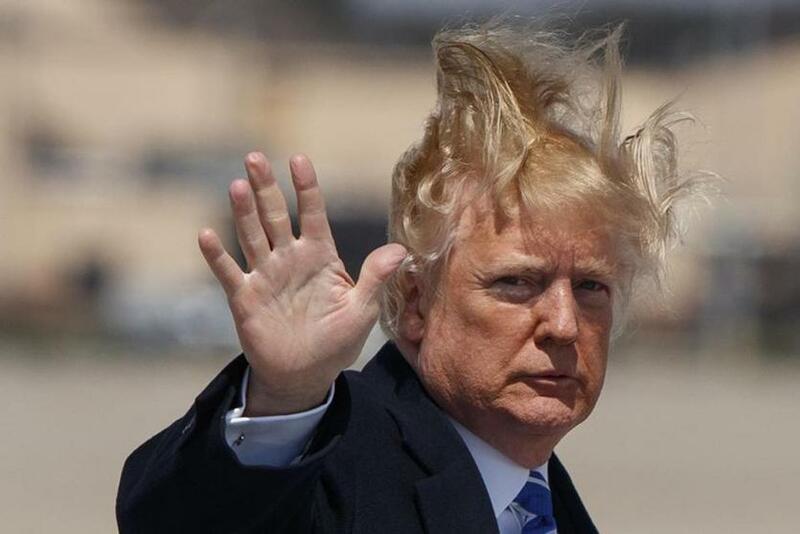 The wind, perhaps pursuant to Aristotle’s observation that nature abhors a vacuum, had swirled around his head, overpowering his hair spray and leaving his cotton-candy comb-over listing to the side like a hirsute Leaning Tower of Pisa. He couldn’t recall winds like that when he was a young Trumpkin, making his way in the world with naught but a $200,000 yearly allowance. What if it was an omen? After all, the stock market, whose steady elevator rise had once given him such comfort, was now acting more like a drunken roller coaster. Brag about it on a Monday and you could end up looking like a complete Don Jr. — um, dunce — on Wednesday. And now, after his oft-repeated claim that he had revived the economy and was bringing manufacturing jobs back with his tax cut, GM had announced it was shutting plants and laying off thousands of workers. We can’t save ourselves if the White House stands in the way. The only thing going steadily up now was the trade deficit. Well, that and the budget deficit. And his job-performance disapproval, which had just hit 60 in the latest Gallup numbers. Asked what he was grateful for during Thanksgiving, the Great Trumpkin had, naturally enough, cited himself. Yet the nation didn’t feel the same way. Except for the Dear Little Trumpkins, God bless their gullible, Fox News-addicted hearts! Meanwhile, reporters kept asking him why he believed Saudi Crown Prince Mohammed bin Salman’s denials over the CIA’s conclusion that MBS had ordered the brutal murder of Jamal Khashoggi. I mean, Duh, as Trumprincess Ivanka would say. Because that same intelligence agency had concluded the Russians had interfered with the election to help him. Credit one conclusion and how could you deny the other? Besides, once a ruler started acknowledging reality, it was off to the races. Next thing you knew, you’d have to concede that it was climate change that was making California fires worse, rather than the failure to diligently rake the forests, something he had claimed the Finns did, though they themselves had conveyed that his contention was nuttier than an outhouse mouse, albeit in polite diplomatic language. Just then, Trumprince Eric scampered into the office, excited as a golden retriever puppy, to say he’d heard economic adviser Larry Kudlow tell defense chief Jim Mattis that the president had reduced the unemployment rate among fact-checkers to historic lows. “Tell them that at the next MAGA rally!” Eric exulted. Yet the Great Trumpkin’s gut told him he shouldn’t — and he trusted his gut. As he’d explained to The Washington Post as he’d off-loaded blame onto the Fed for the recent economic tremors, “I have a gut and my gut tells me more sometimes than anybody else’s brain can ever tell me.” He had, after all, relied on nothing but that gut — and $400 million from his father and a half-dozen bankruptcies — to build his real-estate empire. He’d gussied his gut instincts up a little when, in that same Washington Post interview, he was asked about global warming. “One of the problems that a lot of people like myself, we have very high levels of intelligence but we’re not necessarily such believers,” he’d said. He’d then treated the Post reporters to a, um, wide-ranging discourse about the environment, noting that thousands of tons of garbage on US beaches came from Asia, which also had dirty air, and further, that there had once been talk of global freezing. That would surely suffice for the Little Trumpkins. 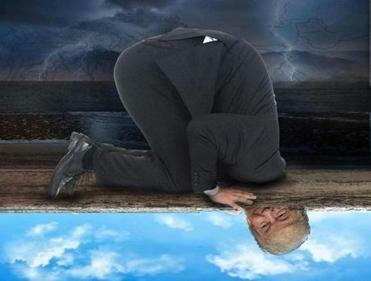 A horrid thought struck him: Maybe climate change was real. Maybe that was the reason the winds were getting hair-rufflingly strong. If so, prompt action was required. Could you order invisible hair nets from Amazon Prime, the Great Trumpkin wondered?